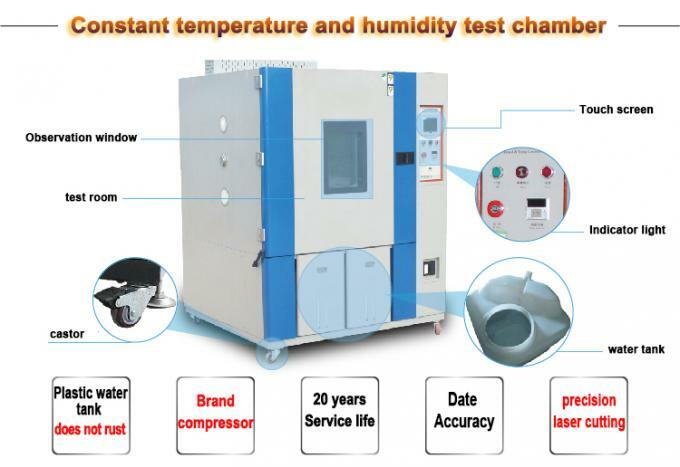 Test Programmable Temperature Humidity Test Chamber / Humidity Controlled Test Chamber is used to detect materials under a variety of environmental test equipment and performance of a variety of materials heat resistance, cold resistance, dry and wet performance. 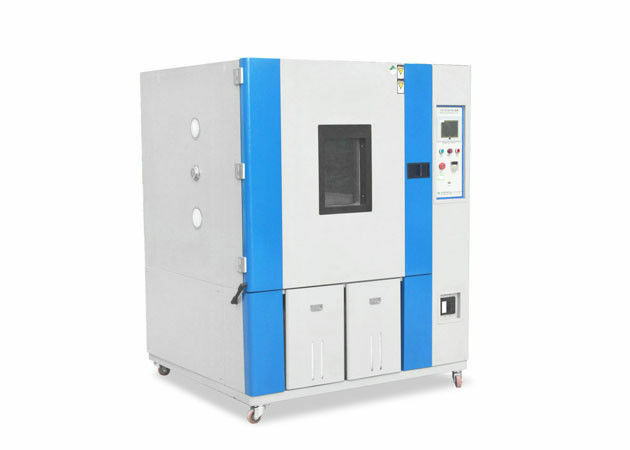 Suitable for testing the quality of electronic products, electrical appliances, mobile phones, communications, instrumentation, vehicles, plastic, metal, etc. 1. fully enclosed cryogenic refrigeration compressor unit. Evaporative Condenser high temperature level both as an evaporator, a condenser and a low level. 2. To ensure the safe operation of the system, the system must be set high and low voltage control, overpressure, overload protection system. Meanwhile, in order to monitor system operation at high and low end of the table need to be provided with high and low pressure monitoring system operation. 3. The cooling capacity is adjusted by the shunt. 3 Under state machine downtime can be inserted at any time to export or upload U disk data, and can be guided by the file viewer or converted to EXCEL format were presented by software in the computer. Meter equipped with a USB port, can be directly driven by micro printer port and print preview (optional). Imported microcomputer temperature controller wet integrated controller (display directly percent humidity). Accuracy range setting accuracy: temperature ± 0.1 ℃, humidity ± 0.1% R · H, indicating accuracy: temperature ± 0.1 ℃, temperature ± 0.1% R · H temperature and humidity sensors platinum platinum resistance · PT100Ω. Heating system is completely independent system, electric heating nichrome heater. Isolated external humidification systems, stainless steel boiler type shallow surface evaporative humidifier. In addition to fully consider the safety of refrigeration units, efficient use of all sectors, but while taking multiple energy saving measures: such as: adjusting the cooling capacity of the refrigeration system, liquid-gas bypass regulation, evaporation temperature regulation, low temperature at any point when the thermostat without heat balance, operating power can be reduced to half, so that operating costs and failure rates of the refrigeration system down to a more state of the economy. Intelligent automatic transfer system expansion, the load automatically adjust the refrigerant flow + intelligent electric power data value (%) to match heating and cooling (load) Analog output data automatically according to the output value. This design than the traditional design saving more than 30%. 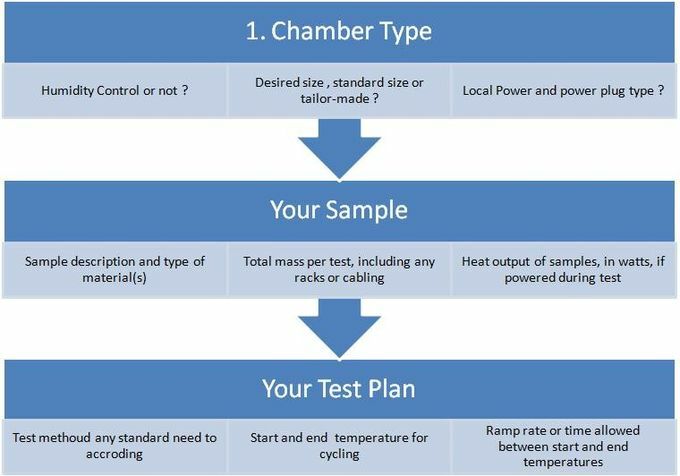 (1) temperature and humidity chamber at operation should be preceded by internal impurities removed. (2) distribution room be cleaned at least once a year Or more, can take advantage of a vacuum cleaner to clean indoor dust can be removed by suction. (3) the outer casing shall be cleaned once a year or more, first with soap and water to wipe cleaning.